Sapphires occur naturally in a variety of colors. Though most people imagine a deep blue when they think of a sapphire, the pink sapphire occurs in varying shades of light to dark, and sometimes with a purple hue. They're increasing in popularity as jewelry designers realize their unique beauty. 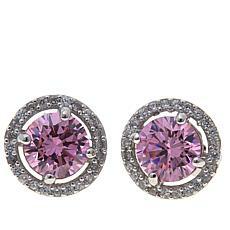 In some cultures, the pink sapphire symbolizes trust, loyalty and sincerity, and carries with it the power of deep love. Whether you're looking for a bold statement for your most elegant outfit, or a subtle sparkle for a romantic dinner in dim lighting, the sparkle and symbolism of pink sapphire earrings make them a beautiful choice to add to your jewelry collection. 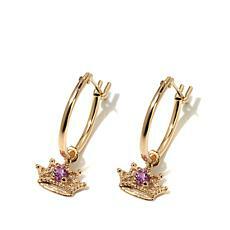 HSN offers a collection of stunning women and girls earrings in delicate metal designs. 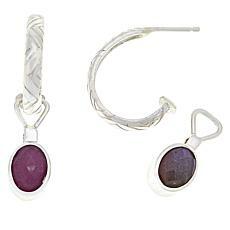 Mounted in either gold or silver, the pink sapphire shines and sparkles in whatever shape it's placed. Its natural beauty is enhanced by other gemstones that show its real presence. If you're looking for a unique set of earrings that will be a great conversation piece, look at the HSN pink sapphire earrings collection. You, too, can tap into the symbolic power of the beautiful stone.